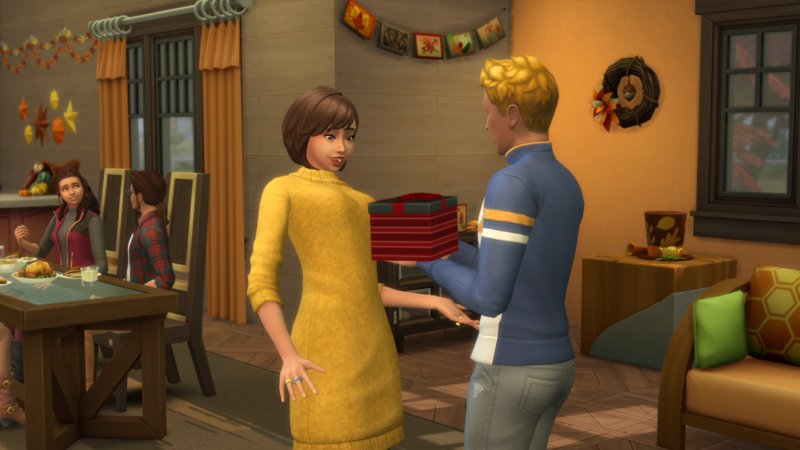 The Sims 4™ Seasons Expansion Pack* is coming soon, and we want to give you an idea of what to expect in each season. 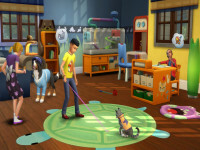 The Sims 4™ Seasons Expansion Pack* is coming soon, and we want to give you an idea of what to expect in each season.We talked a bit about spring and summer, but now it's time to spark the fireplace, brew some tea, and watch the leaves change on neighborhood trees. Let's get to fall, winter, pumpkin spice, and everything nice, shall we? To kick things off, one of the most significant features of this expansion pack is the calendar. So, let's talk about it! The calendar includes all upcoming holidays. 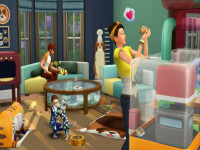 Each one includes traditions to complete that make progress toward your Sim having an awesome time celebrating. 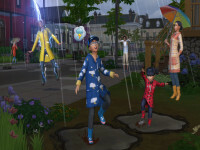 Plus, predicted weather conditions can help Sims plan ahead. You'll also see the schedule of your Sim's household while checking out the calendar, including when they have to go to work. And to make even more planning possible, Sims' birthdays will be featured on the calendar. Pop open some nectar (for New Year's, that is) because all this and more will be in one place. Now that's an organized Sims game. When chilly weather rolls around, so do holidays! 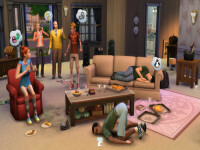 Harvestfest is in the fall, when Sims gather their closest friends and family for the grand meal. Sims can decorate their home for this special day, throw a turkey in the oven, and cook up some delectable goodies for the whole brood. Looking for an extra guest to join the gathering? You may find yourself encountering a certain straw-filled friend made especially for your garden. It wouldn't be fall and winter without a flurry of chillier activities. 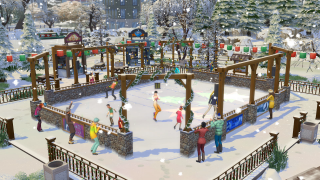 So, for the first time in The Sims 4, we're introducing ice skating. Tricks, spins, and awkward falls await your Sims when you place the skating rink. Plus, Sims can arm themselves with hats and gloves, then head outside to make a snowpal and snow angels. As you may expect, the not-so-fun parts of winter blow in, too. For one thing, it's freeeezing! And without the proper outfit, your Sims will shiver and shake in their boots. Make sure to bundle up before heading outdoors for longer periods of time. If you don't, your Sims will be so blue. Literally. The colder they get, the higher the risk of - you guessed it - death. Womp womp. We hope you're getting ready for some serious chill time with The Sims 4 Season Expansion Pack, releasing June 22, 2018 on PC and Mac. 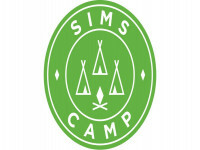 Check out The Sims 4 Forums, follow us on Twitter and Instagram, like us on Facebook, and subscribe to our YouTube channel.